MAHA will return in 2020. (There is no show in 2019). In the meantime you can read below about the previous show in 2018. 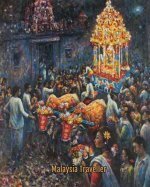 MAHA 2018 is an 11-day biennial event to be held from 22nd November to 2nd December 2018 in Serdang, on the northern edge of Putrajaya. 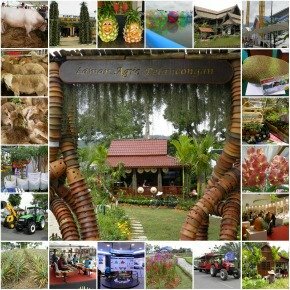 MAHA stands for Malaysia Agriculture, Horticulture & Agrotourism and it is the leading agricultural show of its kind in Malaysia and indeed in the region. This year's theme is Our Food Our Future and will highlight the issue of food security and sovereignty. 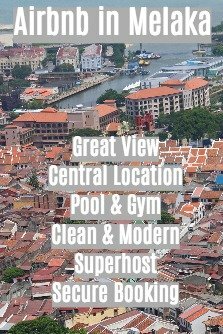 What is Included in MAHA 2018? The 2018 edition of the biennial event is a serious occasion on the agro-business sector's calendar and its primary objective is to generate business for the agricultural sector. Having said that there is much to interest the general public and here are some of the highlights this year. Each country and state participating will showcase their own products in purpose built pavilions. The agro bazaar is a chance for families to purchase fresh produce and unusual agro-products, handicrafts and other items which are not widely found elsewhere. Agro-tourism locations such as farm visits, organic farm shops, homestays and so on will be promoting themselves. Livestock, animal and fish displays. Plenty of traditional Malaysian food. Other kid's activities and attractions. Farmers, Livestock Producers and Fishermen's Day programmes. 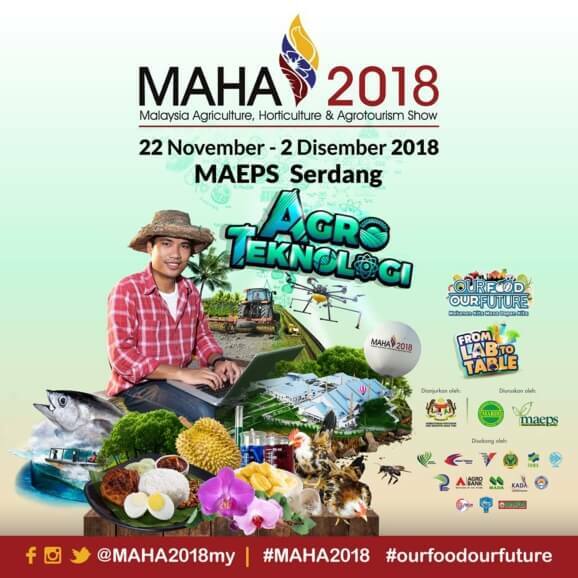 MAHA 2018 is held at MAEPS (Malaysia Agro Exposition Park Serdang), Selangor which is located just to the north of Putrajaya and is accessed via the E26 Expressway. As you can imagine with an expected 3 million visitors over the 11 days, the car park will become very congested. If you want to beat the crowds I would suggest arriving early (before noon). 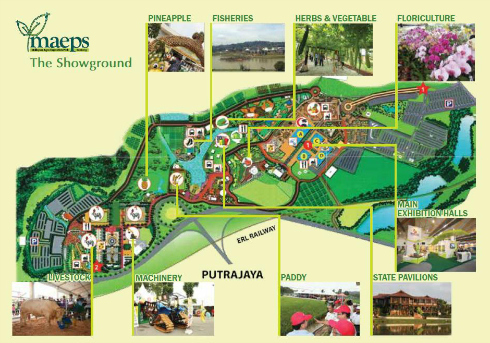 MAEPS covers a 100 hectare site and is the largest and most comprehensive showground in Asia. Put on your comfortable shoes as a lot of walking is required to cover the full show. Transport is available to ferry visitors around the site but you might have to queue up. The show runs from Thursday 22nd November until Sunday 2nd December 2018. The first two days are usually for trade participants only. The show for the general public therefore starts on the third day. The opening hours are from 10am to 10pm. For more details of the 2018 event please see the facebook page of the organisers.